Chains have been around forever but that doesn’t mean they are places to avoid. Hooks Sushi and Thai Food in St. Pete brings you all the sushi mainstays that you expect and also offers some other fun Asian fusion choices. They are open late and are easy to find. Venture further into Palm Harbor and you might run into Mike’s Sushi. This is a small venue sandwiched between a MacDonald’s and another sandwich shop, so maybe it doesn’t look pretty outside, but I lived in Japan, and my wife was born there, and she swears by this joint. It is the closest thing to home she can find; I even took her parents there. 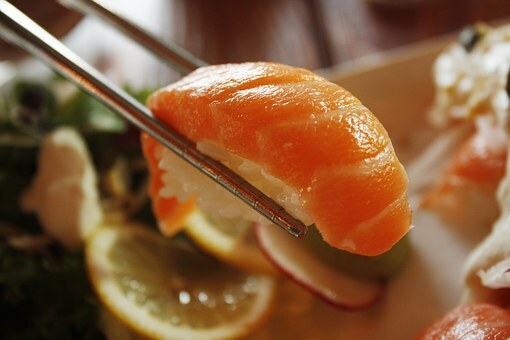 Even if you don’t love raw fish, they have some amazing grill options, meat and fish. The original Mike was trained in Japan so you know it is authentic and it’s delicious. Now, if you want customer service, I would head to Ichiban in downtown Saint Petersburg. Prices are sound and people are incredibly kind. You don’t feel like a rushed table or a person who doesn’t matter. The fun thing here is your waiter will actually talk to you and make you aware of what’s the best fish to go for today.Manners maketh man, and this is the place to go for that. It’s a fun location to take a trip to when relaxing downtown. I think we all know that delicious and expensive go side by side. Sushi falls in line with that train of thought so it’s always fun to find a venue that lets you eat at a price you can afford. This is where the Courtside Grill in St. Petersburg truly shines. They are a sports bar with nachos and burgers, yet they have grasped how to run a delectable sushi menu as well. Again, my Japanese wife approves, and we honestly end up there every Saturday night. Why? This location offers HALF OFF all sushi from 9pm until close on Friday and Saturday. It is amazing to walk out with $100 worth of sushi for the same bill pasta would have cost us elsewhere. It doesn’t hurt that it tastes amazing too. Sushi has been booming more and more in the U.S. And it will probably grow even more popular over time. In an ocean local state, you need to take advantage of any of these wonderful locations and get yourself a bite to eat. Don’t forget that we are looking at cuisine from the country with the longest life expectancy in the world. It can’t hurt to take a page from their book and try something fun and new.